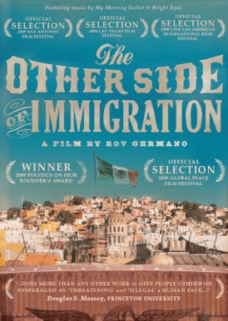 About the Program: Viewing of the film, “The Other Side of Immigration,” by Roy Germano and panel discussion following with: Rev. Mary Pharmer, from Annunciation House, a volunteer at the hospitality house in El Paso, TX; Josh Forehand, Principal at Nuestro Mundo School, Monona; Dr. Melina Lozano, Hawthorne Elementary, Madison College. This is a 55 minute film followed by the panel discussion. Light refreshments will be served.